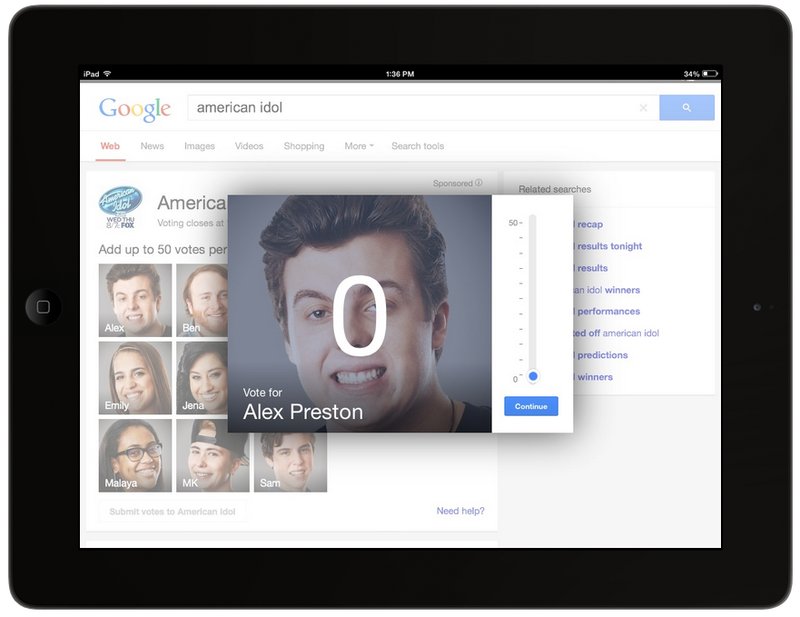 Visit google.com or use the Google Search App (iOS and Android) and search for [american idol] or [idol] during the voting window and select from your favorite finalists. Add up to 50 votes per contestant. You can select your favorites and submit your picks - directly from Google. You can vote for as many contestants as you want. 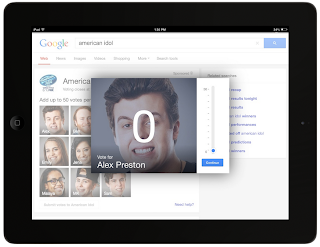 Click submit to send your votes to American Idol. 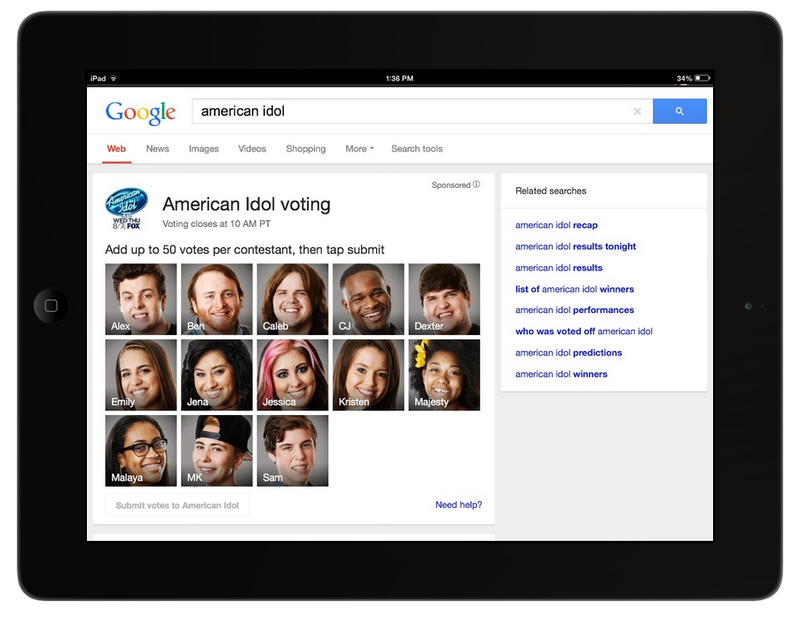 Then watch Idol videos on YouTube, share on Google+, or go back and vote for another contestant if you haven’t yet. 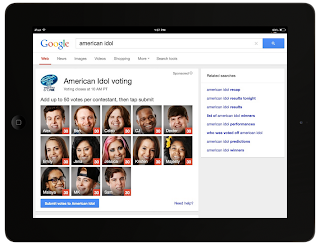 Check out tonight’s show, and give these new pilot voting features a spin on Google! Calling all American Idol fans! Tonight marks the beginning of American Idol’s live finalist performance shows. 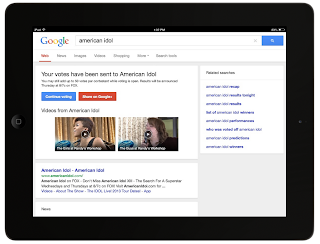 Now, for the first time, you can vote for your favorite performers directly from Google. 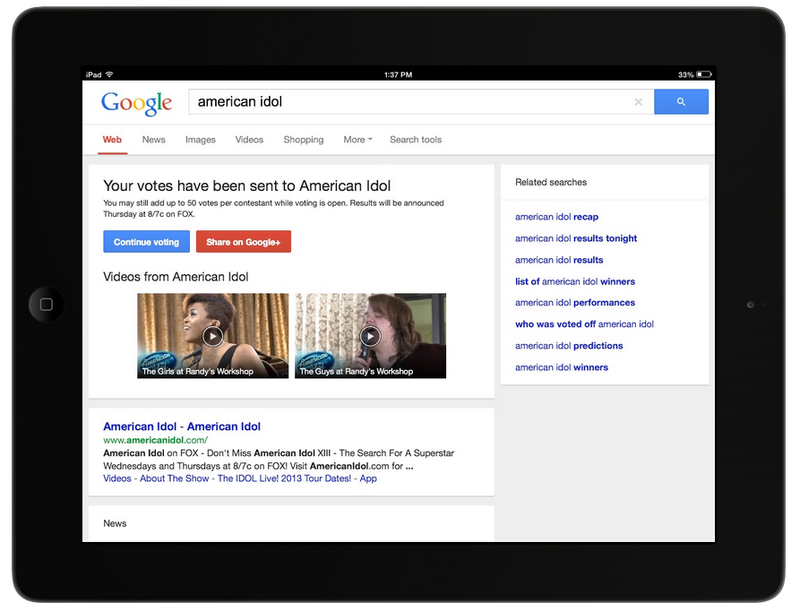 We’ve partnered with FOX to serve as an official voting platform for Idol and you can vote for Idol finalists on Google from your phone, tablet, or desktop.